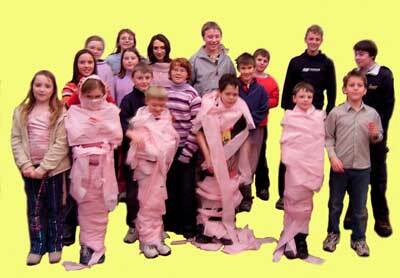 Welcome to the home page of the South Wiltshire Young Archaeologists’ Club. We are a branch of the National YAC co-ordinated by the Council for British Archaeology. A special welcome to our members – hope you enjoy using this web site! The South Wiltshire branch of the YAC was launched in May 1998 and is now in its eleventh year. The branch provides children between the ages of 8 and 16 from the South Wiltshire area with opportunities to learn more about archaeology in an informal setting. Our activities are designed to be both educational and fun. We currently have around 30 members, and are always happy to welcome new members into the Branch. Activities during the past 4 years have been very successful. 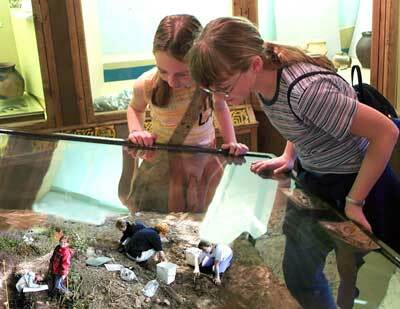 We have run several workshops at Salisbury Museum, visited excavations (and participated in one! ), learned more about various periods of prehistory and history, analysed a variety of artefacts and tried out various archaeological techniques. As well as being a member of your local YAC branch, we also ask that you become a member of the National Young Archaeologists’ Club. As a member you will receive the Young Archaeologist magazine, discounted entry to museums and visitor centres, and information on the club’s activities. To find out more about UK membership, please visit the YAC website.